Your users keep complaining. They cannot find anything. Search doesn’t provide relevant results. Using search is not intuitive at all. The users want search to know their intent. To help them. To make their jobs easier. Search has to make users’ lives easier. Instead, it’s messy. It’s useless. It’s a pain. But you know it can be better. You just need help with how to fix everything. How to make the first steps. How to make your users happy searchers. And how to make them find what they are searching for. I have good news. This webinar is for you! 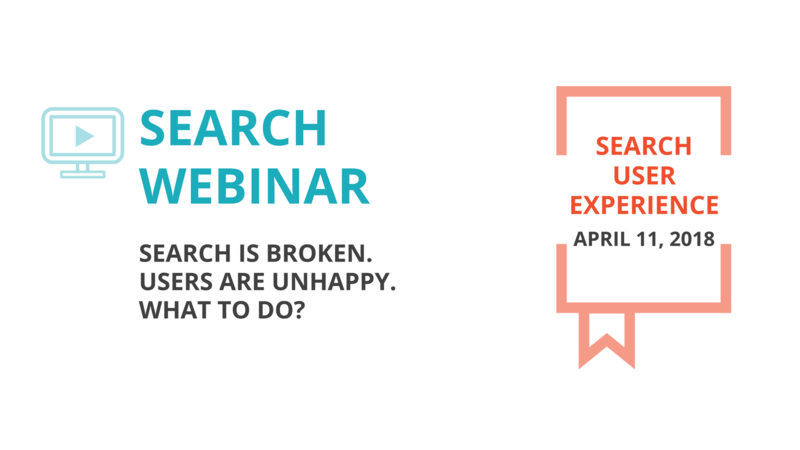 During this webinar, you’ll get an understanding on how search works, what makes it useless, how you can improve it step-by-step, and what you can do to make it your users’ favorite place to go after all. You’ll get not only guidance but also an action plan that you can implement right now.